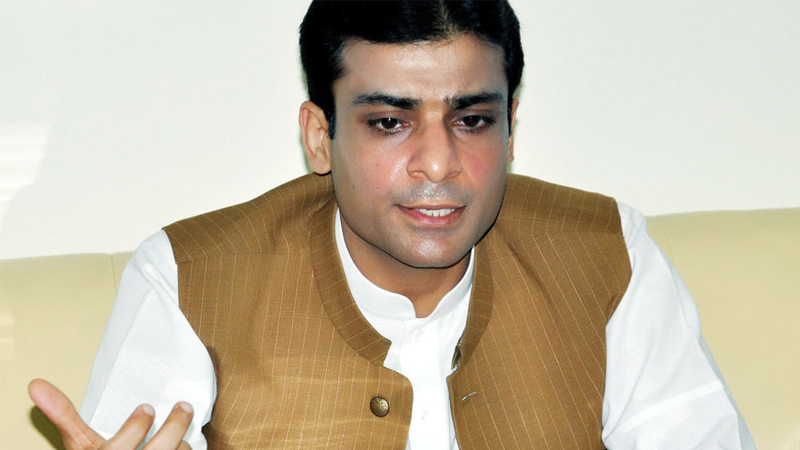 LAHORE: Pakistan Muslim League Nawaz (PML-N) leader Hamza Shahbaz has demanded to constitute a parliamentary commission to investigate the alleged rigging in General Elections 2018. While talking to media outside Punjab Assembly, Hamza asserted that he took oath as Member of Provincial Assembly (MPA) just for the continuity of democracy. Despite being the largest party in the House, PML-N has not given the opportunity to form the government, that is why, he added, the party took part in today’s elections with a heavy heart. PML-N leader also criticized the opponent party Pakistan Tehreek-e-Insaf (PTI), and (referring to the Jahangir Tareen) he stated that a disqualified person took independent candidates to Bani Gala for their meeting with Imran Khan. The elections for the CM Punjab held today and PTI’s Usman Buzdar took the slot while Hamza remained runner-up. Buzdar succeeded by bagging 186 votes while PML-N’s Hamza Shehbaz stood runner-up by getting 156 votes. Usman Buzdar had contested from PP-286 Taunsa Sharif and bagged 26,897 votes. While Hamza Shehbaz, son of PML-N’s president Shehbaz Sharif, had secured PA’s seat from constituency PP-146.